When we speak with friends about trains in the Philippines, they look at us as if we told them a story out of 1001 nights. Do trains really exist in the Philippines? This is why we created a new page for tourists and railway lovers. The first railroads had been built 1875 by a royal decree issued by King Alfonso XII of Spain. A first concession for the construction of a railway line from Manila to Dagupan was granted to Don Edmundo Sykes of the Ferrocarril de Manila-Dagupan on June 1, 1887. So the first railway line led from Manila northwards to Dagupan. The railway was 195 kilometers long at the time of its opening on November 24, 1892. Have a look into our new pages. 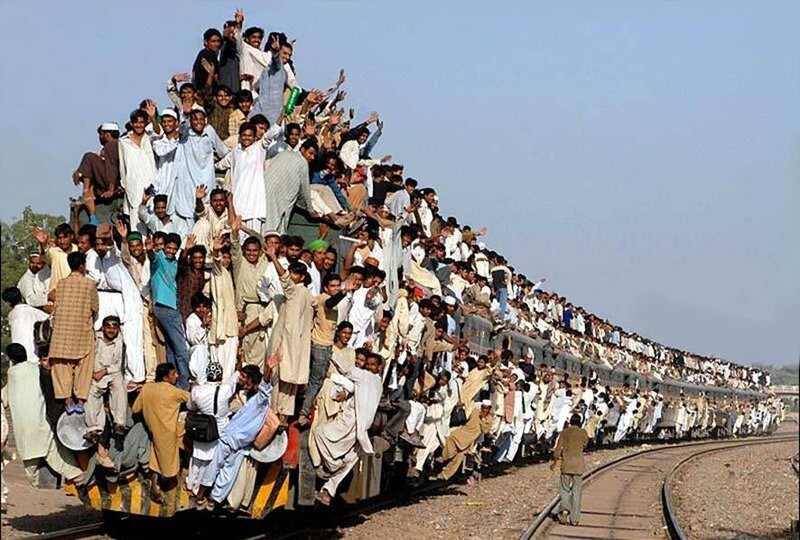 This is not the inauguration run of the new Bicol Express, this is the Indian way of traveling. I think your suggestions for how to make the Bicol Express into a good tourist experience are right on the money! But there are so many missed opportunities for touristic development in these islands! How about a coach tour of the wonderful fortress churches of Cebu? Why not use Bumrungrad Hospital as a model for a really fine medical tourism center? You know, one with on time appts, and adult chairs in waiting rooms larger than a closet? It makes millions with its fine service! And, it is totally privately capitalized. Why not build a GOOD road to Baguio and the rice terraces before they vanish? Tourist farms where the stages of rice growing is shown? Chocolate and Coffee production show places? Carabao petting and rides? Also, did you create that map? We will be following-up on your response. If you have any questions or clarifications you may contact us at +639957769735 or email us at purple.romero1@gmail.com or purple.ROMERO@afp-ext.com. Thanks and we hope to hear from you soon. Sorry for the late answer, we had been travelling a lot in the last months. Previous story For sale or not for sale?